9 Pack Tickets Now Available! The 2019 Milwaukee Milkmen season is just around the corner and now is the time to make sure you're a part of the excitement! Purchase a Milkmen 9-Pack and enjoy exclusive benefits, big-time savings and much more. Join the moooovement today! 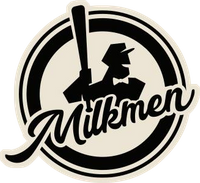 Learn more about the Milkmen 9-Pack.